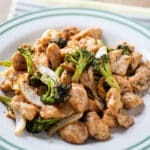 We love Asian stir fries like chicken and broccoli stir fry. 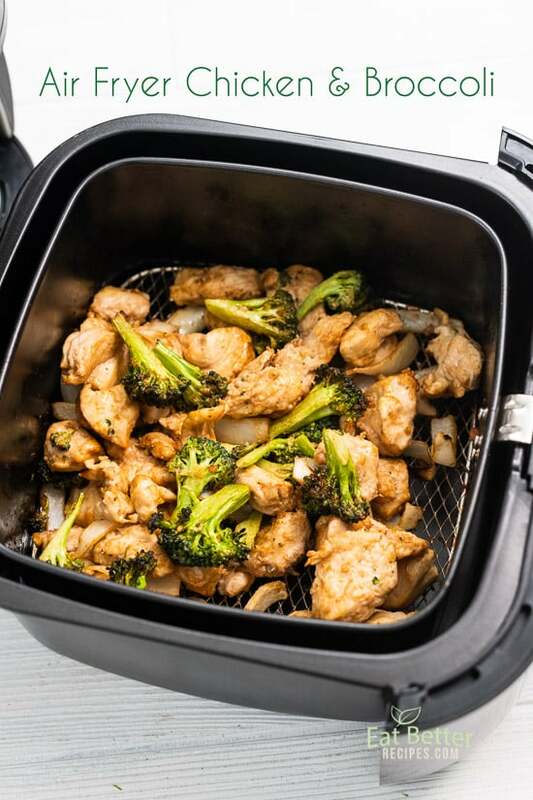 Our new favorite is healthy air fryer chicken and broccoli in the air fryer. 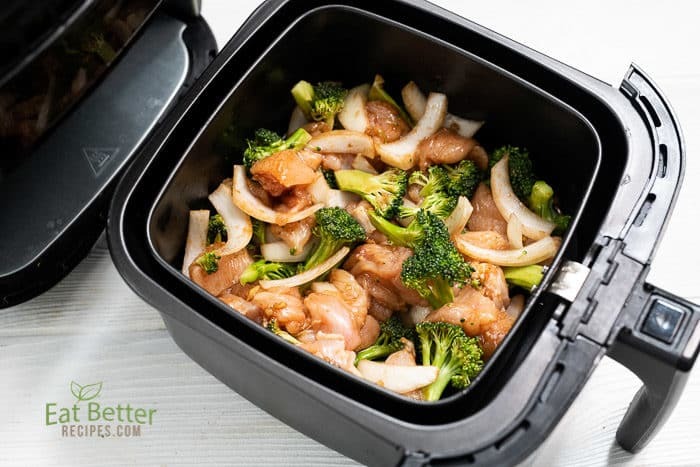 With such little oil, this low fat dish “stir fry” dish is easy made in the air fryer. It’s a fantastic quick and easy chicken dinner for weeknights when you need an easy healthy dinner. Best of all, there’s little clean up and all finished in one vessel. 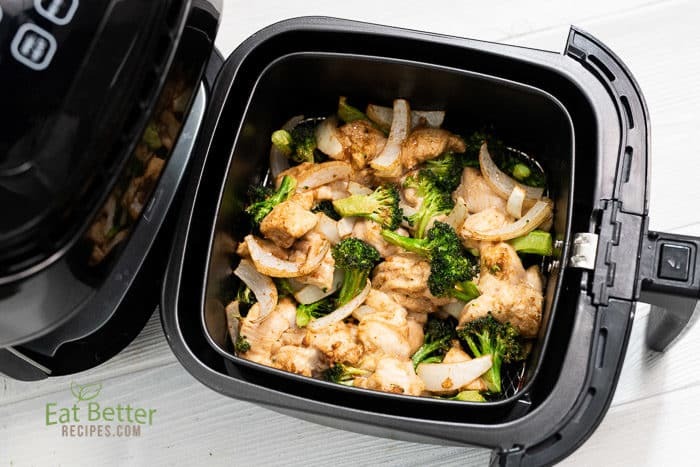 The flavor of the chicken and broccoli from the air fryer is fantastic. It’s crispy, with toasted edges and super flavorful. The texture is more like roasted chicken and broccoli, which is just as fantastic. 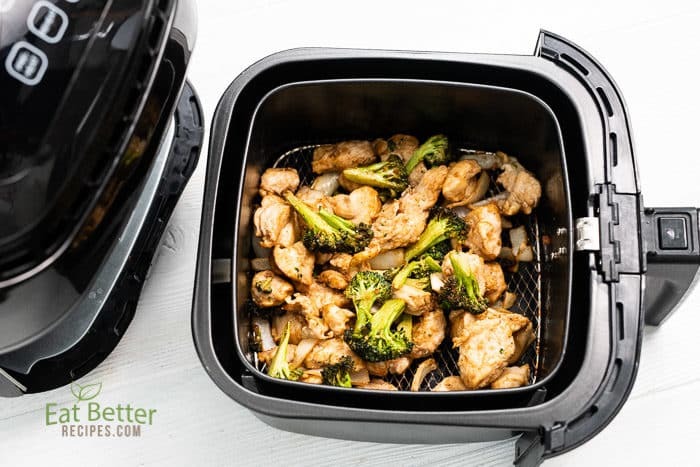 This healthy air fryer chicken recipe is low fat and fantastic when served with some wild rice or brown rice. It’s not greasy and the broccoli is wonderful crispy and flavorful. 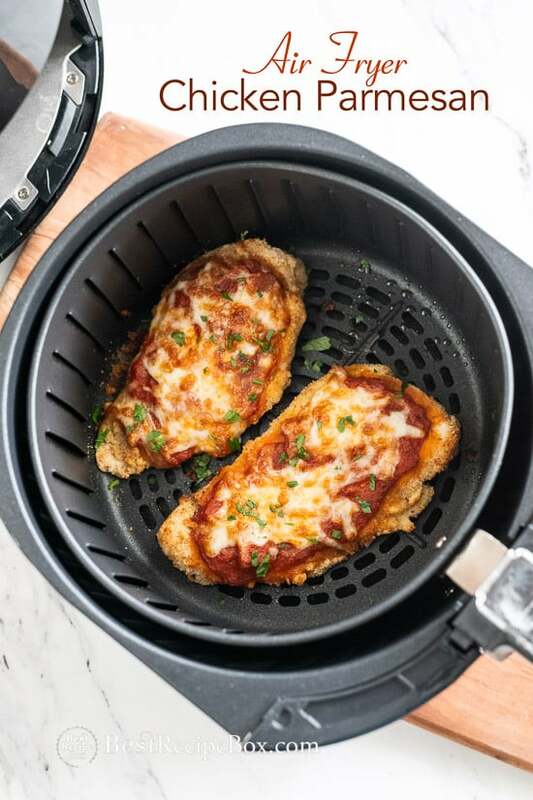 Give it a try and you’ll be obsessed with air fryer recipes from now on. Dinner comes together so quickly and easily. 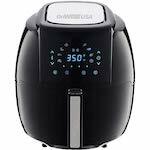 Again, the benefit is that there’s such little oil when it comes to healthy air fryer recipes! Combine chicken, broccoli and onions in bowl. Add marinade and toss evenly with ingredients. Add all ingredients to air fryer. Gently toss and stir ingredients once during cooking. Do this twice if needed. Check one last time, if chicken need more time, stir and cook for additional 3 minutes. There’s so many on the market now. You just need to research and find the ones that fits your needs, capacity and style. 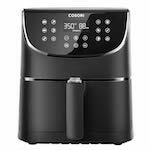 Cosori 3.7 qt. 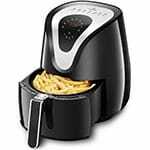 Digital Air Fryer – Stylish design, cooks great, and we love the basket. The basket is not as tall and wider than most in its size group, which is perfect. 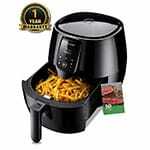 You’ll have a lot better results in an air fryer with single layered, spread out foods, then with ones piled high and thick. We like that this Tiluxury 5.8qt has the non-stick basket (non-wire base). Makes for less sticking for delicate meals (ie baked fish fillets). And we like the digital interface (easier cleaning). The chicken and broccoli will cook down and shrink, so if it the basket feels full at first, there will be less volume after everything is cooked. Check out the step by step photos on the website recipe write up. 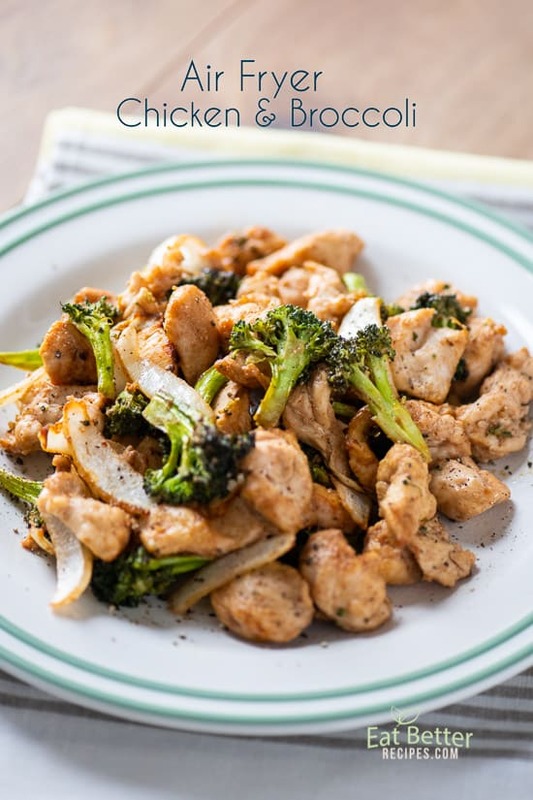 In a large bowl, combine chicken breast, broccoli and onion. Toss ingredients together. Make the Marinade: In a bowl, combine oil, garlic powder, ginger, soy sauce, sesame oil, rice vinegar and hot sauce. Pour marinade evenly over chicken/broccoli/onion in the bowl. 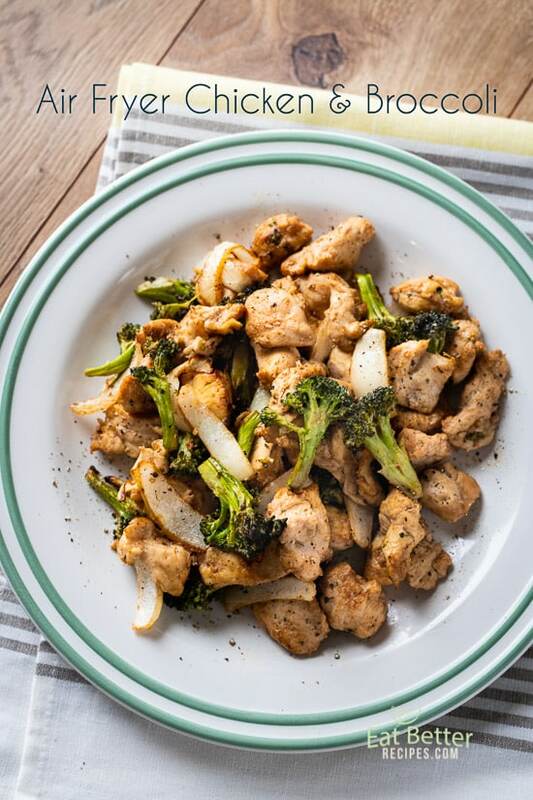 Stir thoroughly to combine marinade over chicken, broccoli and onions. 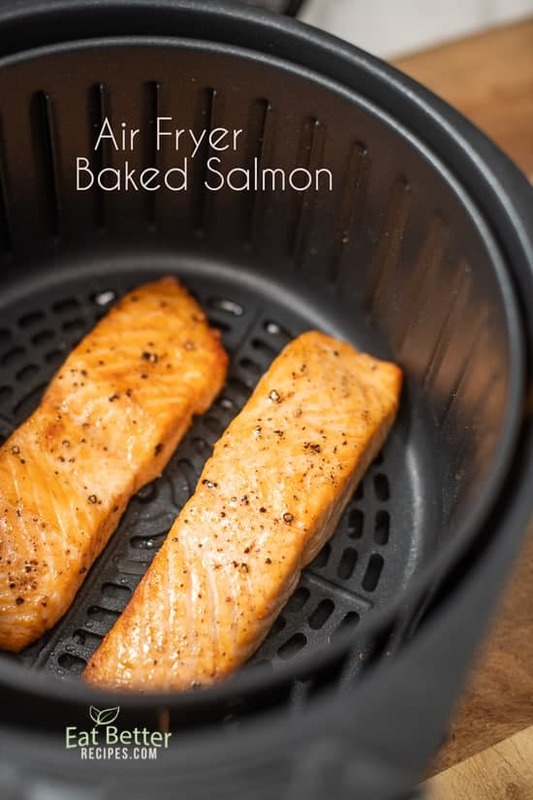 Air Fry: Add ingredients to air fry basket. Air fry 380°F for 16-20 minutes, shaking and gently tossing halfway through cooking. Make sure to toss so that everything cooks evenly. Check chicken to make sure it’s cooked through. If not, cook for additional 3-5 minutes. Add additional salt and pepper, to taste. Squeeze fresh lemon juice on top and serve warm. I can’t believe how easy it is to make a savory meal in the air fryer. This one is my favorite of them all. Thanks so much and so glad you enjoyed the recipe! This is super delicious! I never would’ve thought of cooking chicken and broccoli in the air fryer. I love how healthy this is. Yay! Happy you’re enjoying our healthy chicken and broccoli!